Read reviews of three coffee mugs for on the go written by Kayla Addison. She review for us Thermos Stainless King 16-Ounce Travel Tumbler, Cranberry; RTIC 30 oz. 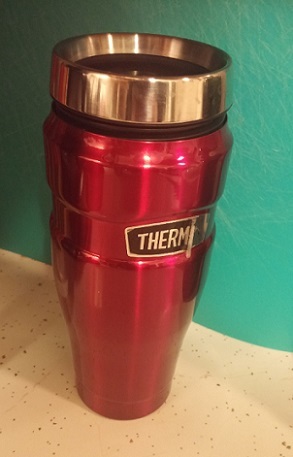 Tumbler and Stainless thermos by Thermos. This is the highest performing travel tumbler I have found for every day; I have been using it for over a year. Your hot beverage is kept at the temperature you pour it into the mug all day. One day, I headed into work and forgot my coffee in the car. I never went back out to my car to get it throughout the day because my work has coffee. Later that evening, my husband and I went to dinner and ice skating. When we got off the ice and took our skates off, I took a sip of coffee and burned my mouth! For 12 hours in a freezing cold car, this travel tumbler kept my coffee piping hot. Marry me, Thermos? Since that day I have purchased another one in black for my husband’s morning tea. He loves it because there is a little hook on the bottom of the lid to hold your tea bag. I have never microwaved this mug, but I do put them in the dishwasher regularly. CAUTION! If you take the lid apart, make sure you can put it back together. There are several pieces to the vacuum sealed lid, and if you take it apart without paying attention, it is very easy to put it together incorrectly or lose a piece. I wish this mug came in a bigger size! This is the newest addition to my collection; I have had it for about a month. If you like iced coffee, I highly recommend this mug above all others. The manufacturer claims it keeps cold drinks cold for 24 hours and hot for 6 hours. When I have put ice in this, it truly has still had ice in it after 24 hours. As for my hot coffee, I would tell you that it keeps my hot coffee WARM for 6 hours. If you are someone who likes your coffee so hot it burns your face off, I would direct you to the mug that I previously mentioned. RTIC mugs are dishwasher safe and definitely wash up the best. I have never felt the need to hand wash them. I can use one for coffee, put it through the dishwasher, and put lemonade in it without tasting coffee on the lid like some mugs that have rubber seals. 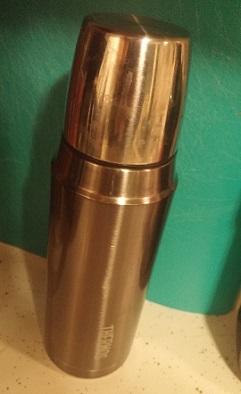 It is incredibly versatile, and I have been taking it to work every day in place of my Thermos since it is twice the size. This is not really a mug, it is truly a thermos. You can pour your coffee into the lid or bring a mug. I have had it so long that I have not found a link for one exactly like it, though there are many similar options. It holds around 30 ounces and keeps my coffee hot all day long. This is great for anyone working outside in the winter, camping, etc. I use it occasionally when I do yard work or visit my family’s farm. It is dishwasher safe. whoah this blog is fantastic i like reading all related to coffee. 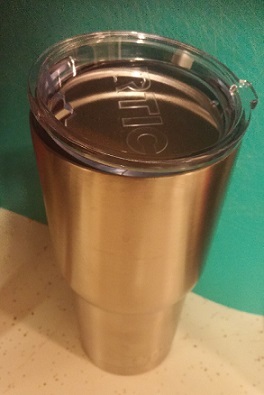 I have RTIC Tumbler and that is great tumbler. Keep my coffee heated for hours.